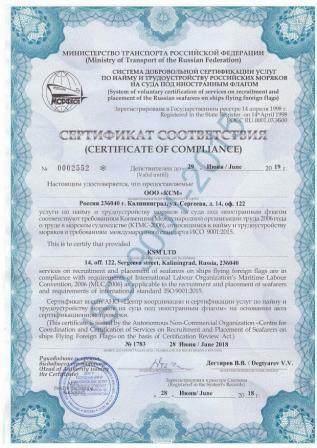 MLC certificate confirms that company fully meets the highest standards in compliance with the labour rights of seafarers, providing them with decent conditions of work and rest, the provision of social guarantees. 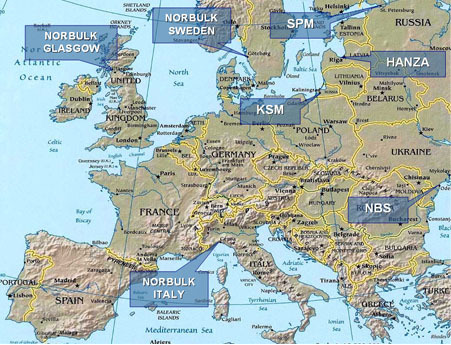 Since it's formation in 1982 Norbulk Shipping has continued to expand its ship management operations. Ship owner clients located across the globe now include, public listed companies, private family controlled shipping interests and government shipping enterprises. KSM Website designed by Victor Agafonov.